Our 2019 Summer Brochure is Here! Registration Forms available in the office. Space Limited, Register Now! Owl’s Crossing Summer Program is open to the public. Click on the 2019 Summer Program Brochure link to the right for more information. Registration for the 2019-2020 school year will begin on November 1, 2018 for current OCP Families. Starting on November 15, 2018 registration will begin for prospective students and parents. If you would like to schedule a tour of our school, please feel free to contact us to schedule a date in early October. 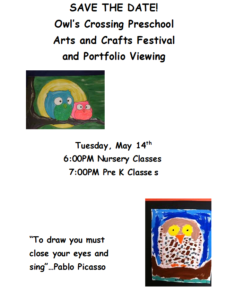 Please see Preschool Programs page for program descriptions and information. Registration forms are available now. 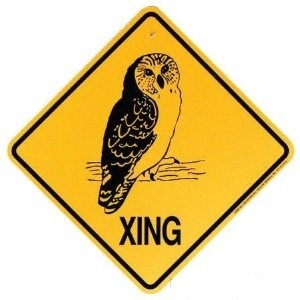 This is the official website for Owl’s Crossing Preschool in Scituate, MA. For registration information or to set up an appointment to visit the school with your child, please call Judy or Suzanne at 781 544-0200 or email us at Director@owlscrossing.com. At Owl’s Crossing you can drop off your child at the door. Please see the drop off procedure on our page listed to the right. Please visit our photo gallery to the right to see some of last month’s activities.